These days almost every investor is familiar with index funds. These incredible tools put the wealth creating power of companies all around the world right at your fingertips. Even better, they do so in low cost, well-diversified, and tax-efficient vehicles that are accessible to nearly every investor. 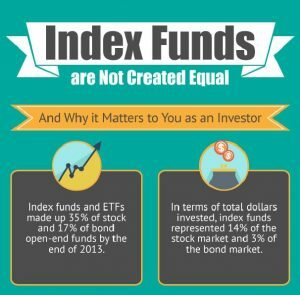 The term “index fund,” however, is very generic. In it of itself, it doesn’t tell us as investors very much. There are literally hundreds of different indexes that a fund company can choose from when designing an index fund. Even within a given asset class (e.g. US large cap stocks), the choices can be confusing. With that in mind, I designed the index fund comparison infographic below to help showcase the key differences between the indexes used in some of the most popular index funds available today. Index funds and ETFs made up 35% of stock and 17% of bond open-end funds by the end of 2013. In terms of total dollars invested, index funds represented 14% of the stock market and 3% of the bond market. Many investors assume that all index funds are the same. For example, a common misconception is that all index mutual funds or ETFs track the S&P 500 index. 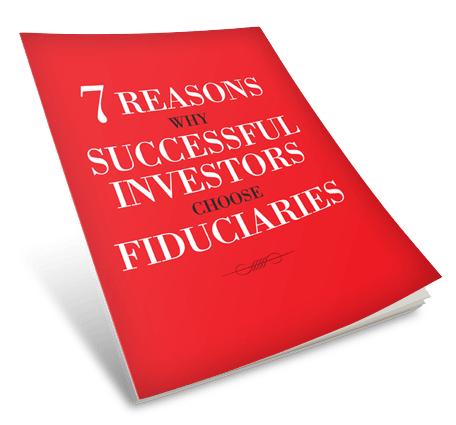 In reality, there are literally hundreds of different indexes available that track a wide range of stock, bond, and other asset classes. Fund companies may track one or many different indexes. Below, we compare U.S. large cap, mid cap, and small cap stock indexes from three major index providers: S&P Dow Jones, Russell, and CRSP. Data as of June 30, 2014, except where noted.